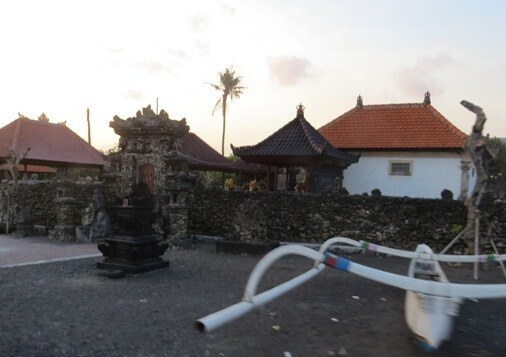 The beach, waves, beautiful environment, and relaxing atmosphere have become the pillar of the tourism sector in Bali. Several beaches such as Kuta, Legian, and Sanur are often full of tourists, both local and international, so it seemed busy and crowded. However, for visitors who choose to explore, discover the unique, and of course the quieter beach with relaxing atmosphere, Gumicik Beach can be an option. Gumicik beach, a beach in Gianyar, offering natural beauty, strong waves, more relaxing atmosphere and peaceful rural environment. Gumicik beach is situated in Banjar Gumicik, Ketewel Village, District of Sukawati, Gianyar Regency, Bali. The beach is easily accessible from By Pass Prof. Dr. Ida Bagus Mantra. A strategic location, accessible from Kuta, Sanur, Ubud and East Bali. The coast in Gianyar regency is known to have the fisheries potential, contribute to the economy of fishermen and locals. This potential is lobster and the coral reef ecosystem that stretches from Gumicik Beach to Lebih Beach. But beyond that, the beach has been suffered severe abrasion, retrogressive of coastline, damaging the settlements, shrines, and infrastructure. 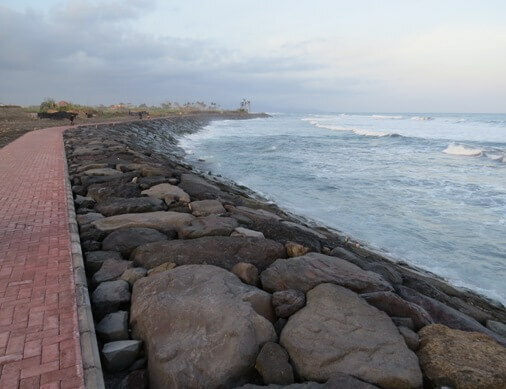 For this the government and stakeholders have been carrying out "rescue project" with the installation of revetment combined with paving blocks as jogging track. 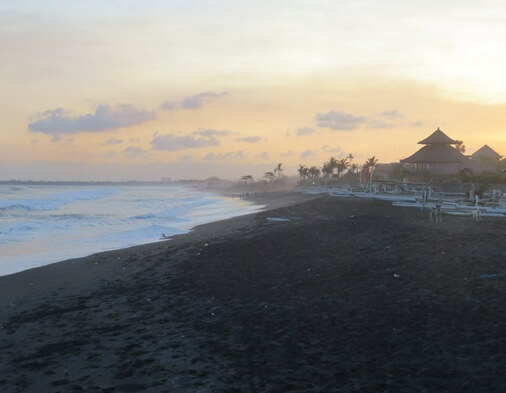 Gumicik beach is a beautiful black sand beaches and sparkling with natural shades. This beach is also known to have powerful waves, the main attraction for surfers. Wet season is the best time to surf here. The beach is also blessed with stunning views of sunrise and the romantic sunset. On this beach, Balinese Hindus held a Melasti ceremony (before Nyepi), every year. This beach also becomes a location for mooring of traditional fisherman's boat, which is beautiful and colorful. It is suitable for photography lovers to be creative while honing skills. Several activities can be done here such as: relaxation, sunbathing, morning stroll and more. For swimming, visitors are strongly advised not to do so. This is especially for visitors who bring along their children. It is associated with strong wave conditions, insecure, and difficult to predict.